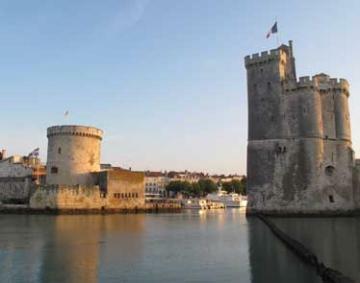 Top class holiday home near La Rochelle one of the most iconic, historic ports of France. Surrounding the house is a beautiful garden which is perfectly adapted for children and has a swimming pool which can be covered or opened. Located 20km from La Rochelle which has an international airport, just 15 minutes drive from the Ile de Ré. Within around an hour and a half of three major attractions, Futuroscope, La Palmyre zoo and Le Puy du fou. Saint Malo ferry port 331km. Tennis 50 metres (free, no reservation required) from the gite. The upper floor has two single bedrooms (each suitable for children) and a bathroom. Separate toilet. Twin bedroom (2 x 90cm wide beds). Master double bedroom (1 x 160cm wide bed). The ground floor has a beautiful entrance hall leading to the spacious dining room and fully equipped kitchen. Handsome living room leading on to a second sitting area. Laundry room. Triple bedroom (1 x 140cm wide bed and 1 x 90cm wide bed) and a shower room. The decor, style and furnishings are both tasteful and comfortable, all in perfect harmony with this lovely country house. The garden is really big with plenty of flat lawned area complemented by plenty of children's apparatus and a table tennis table. The large pool is fenced for child security. There is plenty of garden furniture and a barbeque for dining outdoors. This is a first rate holiday property in a great location. However, bed linen and towels are not provided or available for hire. Refundable cash deposit €700 (or equivalent) payable locally. Bed linen and towels are NOT provided or available for hire. Obligatory final clean payable locally 100€. Heating for the house and firewood. Additional services (where available) including cleaning, babysitting and cooking.